Guy Sebastian has hit the Australian airwaves again with his brand new single ‘High On Me’, out today through Sony Music Entertainment Australia. Written with Fiona Bevan (Ed Sheeran) and produced with Louis Schoorl and M-Phazes, ‘High On Me’ gives another tantalising taste of what’s to come from Sebastian’s forthcoming 10th studio album, CONSCIOUS, set for release on Friday October 27th, 2017. CONSCIOUS will be available to pre order from Friday September 8th. 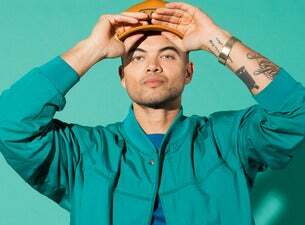 Guy Sebastian has spent over a decade on the road, which has challenged him to maintain a healthy work / life balance and fuelled his conscious decision to spend more time at home over the last 12 months. Despite the huge task of writing and producing his 10th studio album, which in itself requires so much of his focus and energy, Guy decided that it was time to plant his feet and become grounded, even just for a moment. Guy set himself goals. Mental, spiritual and physical goals. He pushed himself to the limit physically and mentally, forcing the realisation that he has never had a clearer outlook on life than he has right now. It has definitely been an awakening period for Guy and with that has come an invigorated positivity, which was the inspiration for the upbeat new single ‘High On Me’. Stemming from a desire to release something fun and positive out, with a new appreciation for the age-old philosophy that what you put out into the universe comes back to you, ‘High On Me’ is that bit of fun we all need in our day. With its funky soul vibes that encourage a smirk and a groove, ‘High On Me’ is bound to make people smile.